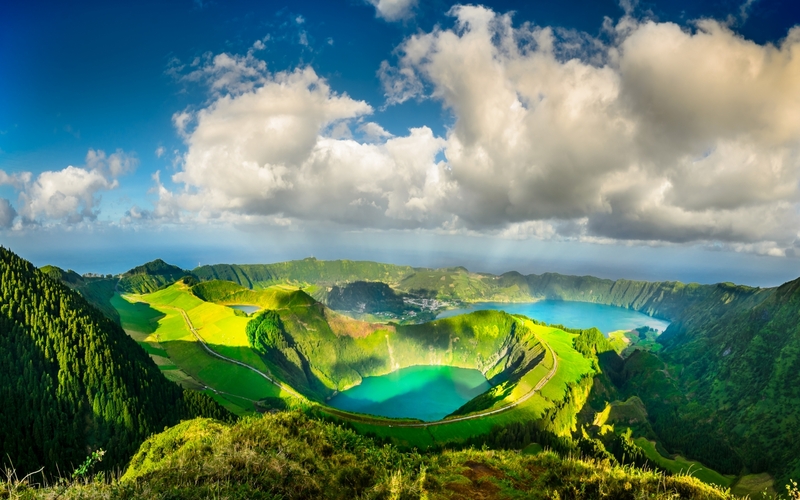 The Azores, a volcanic archipelago in the Atlantic Ocean, features nine islands. They are an up and coming destination, but still not too touristy since they are relatively unknown. The isles forged by earthquakes and volcanoes, offer breath taking views, plethora of outdoor adventure opportunities and off the beaten track experiences. A quiet place to relax combined with great hiking options and a few other fun activities, you must consider a trip to these islands. The islands have their own airports, so island hopping is the best way to get around the archipelago. The most notable of the volcanic islands are Terceira and Sao Miguel. The Azores are also one of the world’s largest whale sanctuaries and up to twenty different species are found here. Whale watching and swimming with the dolphins are a must do here. An incredible destination for Bird watching as some of the rarest breeds of birds breed here. A dip in the geothermal baths is customary after a day spent either hiking, canyoning, horseback riding, scuba diving or surfing. Terceira Island is one of the few places on earth where you can go inside an extinct volcano. Located in the center of the island, Algar do Carvão is a spectacular ancient lava tube that is now covered by lush vegetation and unique stalactites. You can also enjoy golfing within the beautiful landscapes of the island. Combine it with a stop in Portugal mainland, for an unforgettable holiday.